26.06.2016 Coffee and I joined FCI Ob. Class 3 in Vamdrup in Dk. 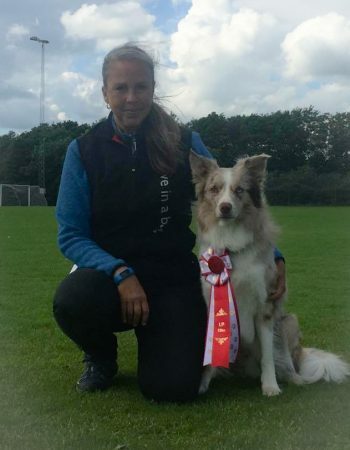 Despite a huge zero in sitting in group, and misunderstandings in directed retrieve and cirkle ( new exercise) we got 259p, a red ribbon and won the class. This entry was posted in Obedience, Uncategorised. Bookmark the permalink.